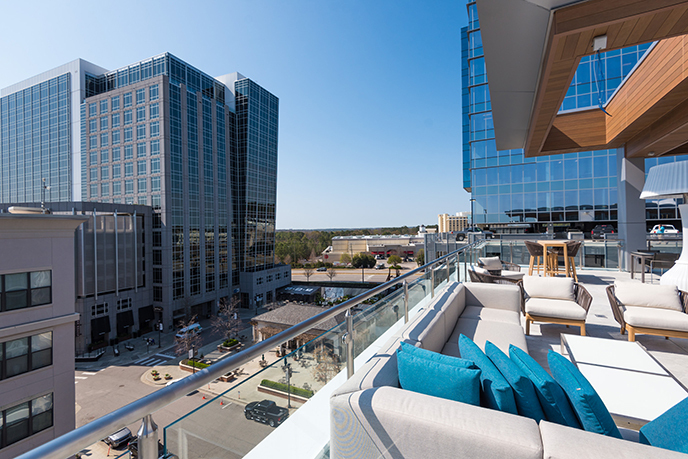 The AC Hotel Raleigh North Hills—the first AC Hotel in N.C.—is officially open. The 135-room, select-service property is surrounded by terrific shopping and dining in the North Hills area in Midtown Raleigh. The hotel features the Level7 rooftop bar, serving up handcrafted cocktails, wine and local craft beer plus European-inspired small plates. Event space and catering for up to 115 guests is also available. Recently the recipient of a AAA Four-Diamond Hotel Award, the Renaissance Raleigh North Hills Hotel is nearing the completion of fresh updates to the 229 rooms and nearly 10,000 square feet of meeting space, plus a total lobby transformation and rebranding of the restaurant. With new design details featuring distinct elements inspired by the Raleigh area, guests are set to receive a warm welcome to the capital city. The nearly $9 million renovation is set to be complete by the end of spring. 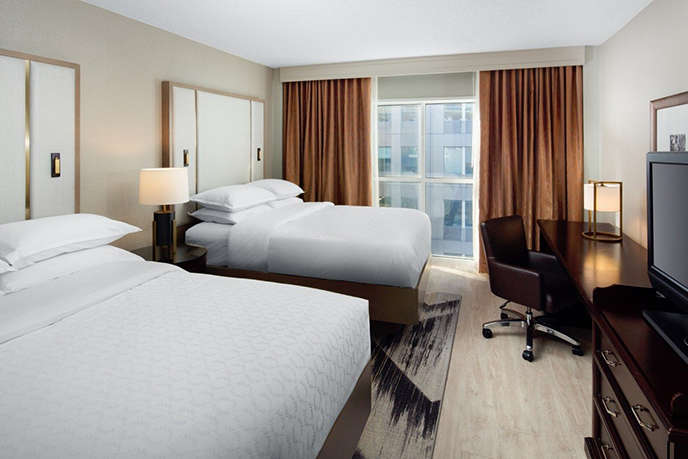 If you haven&apos;t seen the newly-reimagined Sheraton Raleigh Hotel in the downtown Raleigh convention campus—which also includes the Raleigh Convention Center (RCC) and Raleigh Marriott City Center, plus the Residence Inn Raleigh Downtown, opening summer 2017—take a look here. The 353 guest rooms have been entirely transformed with a designer&apos;s touch, featuring all-new beds and bathrooms, hardwood flooring, contemporary artwork and furnishings and more. As more than 75,000 people have traveled between Paris&apos;s Charles de Gaulle Airport and RDU International Airport since the launch of the nonstop flight in May 2016, the airline upgraded the flight to a larger plane for the summer. In May 25, the airline began using an aircraft with 43 more seats, allowing more international travelers to visit the area during peak months. Get a quick rundown on recently-announced flights for RDU! Virgin America announced a new daily, nonstop flight between San Francisco International Airport and RDU. Set to debut in Oct. of this year, the flight will be the first to RDU under the Virgin America brand. RDU starts a new Delta Air Lines daily, nonstop flight from Seattle as of June 2017, supplementing an existing Alaska Airlines nonstop connection. Delta Air Lines announced new nonstop service between Newark Liberty International Airport and RDU. Southwest Airlines kicked off nonstop service from Louis Armstrong New Orleans International Airport to RDU at the end of April 2017 for Fridays and Saturdays. Allegiant Air also began nonstop service between the two airports in Feb. 2017 for Thursdays and Sundays. In early March 2017, Delta started a new daily nonstop flight from Austin, Texas, to RDU. 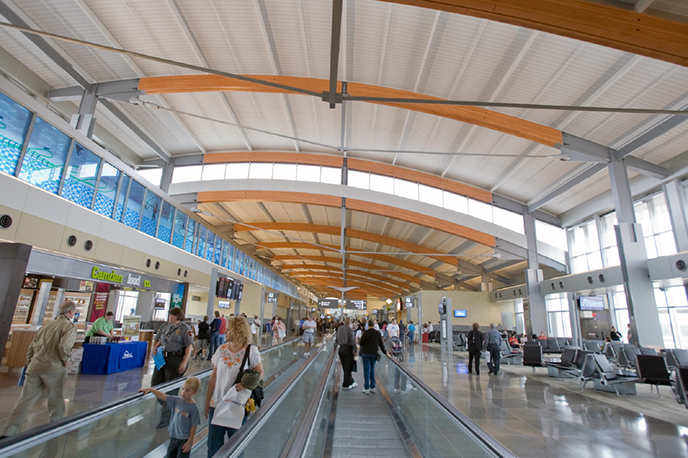 RDU serves more than 40 destinations nonstop. The airport also announced a total retail makeover, with 15 new shops and experiences set to debut in Terminal 2 over the next 18 months. That number includes Root and Branch, a new gift shop that will have a focus on products rooted in the local area. Local-favorite shop DECO Raleigh will be a partner in the venture. North Carolina Museum of Natural Sciences Most Visited Attraction in N.C.
For a third consecutive year, the North Carolina Museum of Natural Sciences was the number one most-visited tourist attraction in the state-more than 937,000 people visited in 2016, according to the study by Carolina Publishing Associates. Marbles Kids Museum ranked sixth with 675,890 visitors, North Carolina Museum of History ranked eighth with 545,319 visitors and the North Carolina Museum of Art ranked ninth with 503,777 visitors last year. USA TODAY named Raleigh one of Five Underrated Food Cities on the East Coast. 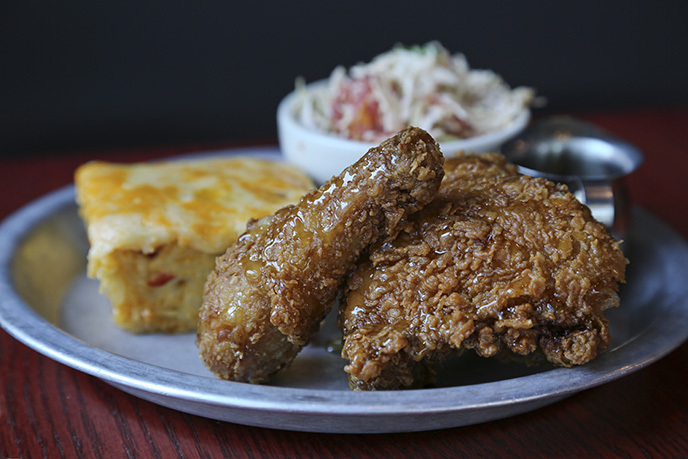 Raleigh "embraces its Southern heritage while continuing to grow. A prime example is Ashley Christensen, chef and owner of no less than six bars and restaurants in the city," the publication notes. And they aren&apos;t wrong! Chef Christensen&apos;s Poole&apos;s Diner was recently named one of America&apos;s 38 Best Restaurants by Eater, Southern Living called Raleigh "a culinary mecca," and Zagat listed Raleigh as one of the Hottest Food Cities of 2016. The takeaway? Come hungry!